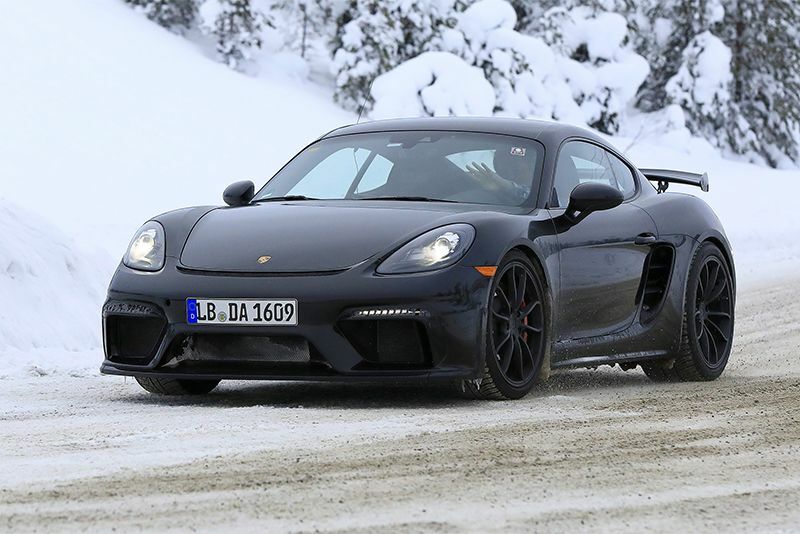 The question on every Porsche fans lips is, what will the upcoming new Porsche 718 Cayman GT4 actually be? And, considering how many people seem to love the first Cayman GT4 (just take a look at the sky-high second-hand prices), Porsche will need to tread carefully with its replacement. It was always quite obvious to us that Porsche held the Cayman/Boxster twins back for fear of showing up their 911 sibling. That was until Porsche’s GT department unleashed the full potential of that incredible chassis with the Cayman GT4, injecting it with all the best ingredients from their inventory. Three years down the line and things have changed. The fourth generation 718 Cayman/Boxter has fallen prey to downsizing, sporting a turbocharged flat-four-cylinder engine. We suspect though that Porsche will buck the trend with the new GT4 and place the current 911 GT3's turbocharged 4-litre flat-six unit mid-ship. It will most likely sport slightly lower power and performance figures to the current 911 GT3, but that won't matter, it'll still be eye-wateringly quick. Those of you paying attention to the images of the test car in the gallery will notice new dual exhaust outlets for the first time poking out from a large diffuser, which also hints towards that change in powertrain mentioned earlier over the standard 718. Up front, there's a more aggressive apron counterbalancing the large stacked wing at the back. It seems it's using the same forged wheels from the previous GT4 but they will probably change for the production car. The 718 Cayman GT4’s price-tag is unlikely to matter for most but it'll likely be more than the £64k of the previous model. We'll update you when we find out more about the new GT4 and its Boxster Spyder sibling, news of which is anticipated later this year while we expect the official reveal to be at the 2019 Geneva Motor Show.